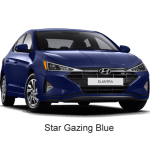 Features: Heated front seats, Air conditioning, Bluetooth and more. 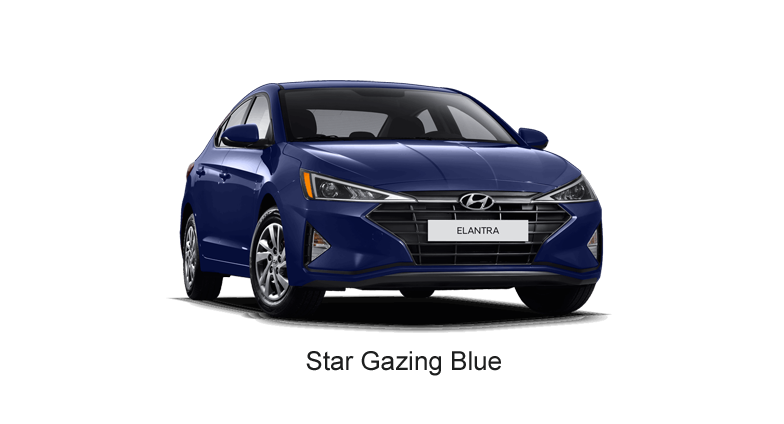 Includes Preferred w/Sun & Safety Pkg features plus: Dual-zone climate control, BlueLink, Leather seats and more. Includes Essential features plus: Heated steering wheel, Rear Cross-traffic Warning, 7" Touch Screen, Android Auto and more. Includes Luxury features plus: Navigation, heated rear seats, adaptive cruise control, Pedestrian Detection and more. 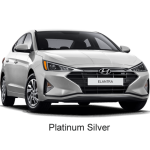 Includes Essential features plus: Push-button start, Smart Trunk, Sunroof, Forward Collision-Avoidance Assist and more. The 2019 Hyundai Elantra is now available at Finch Hyundai in London Ontario. 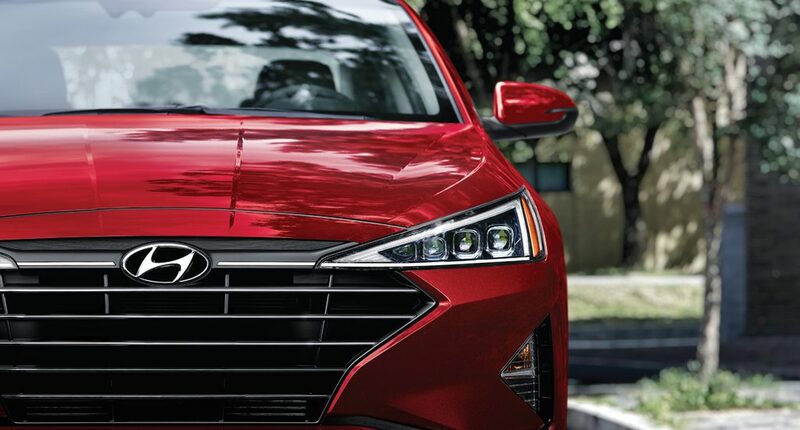 It has been designed to enhance every curve, starting with an all-new grille that makes a sporty statement. Feel good on every journey thanks to brand new available technologies that help keep you safe and connected, like the segment-exclusive Safe Exit Alarm‡, wireless smartphone charging pad^ and our BlueLink® connected car system with remote start. 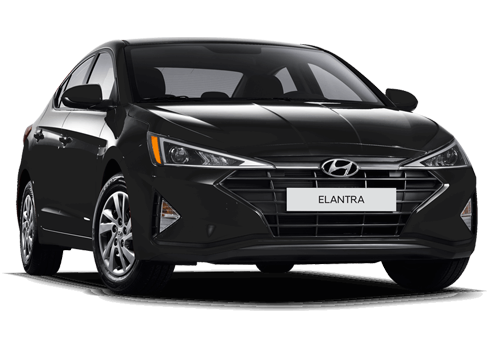 Stay connected and enjoy every drive with the 2019 Hyundai Elantra from Finch Hyundai. 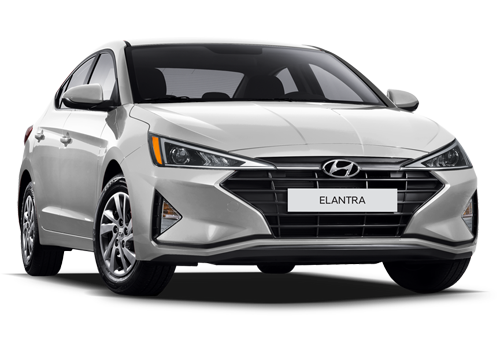 The new 2019 Hyundai Elantra has some exciting design changes that enhance every curve, starting with an all-new grille design that makes a sporty statement. 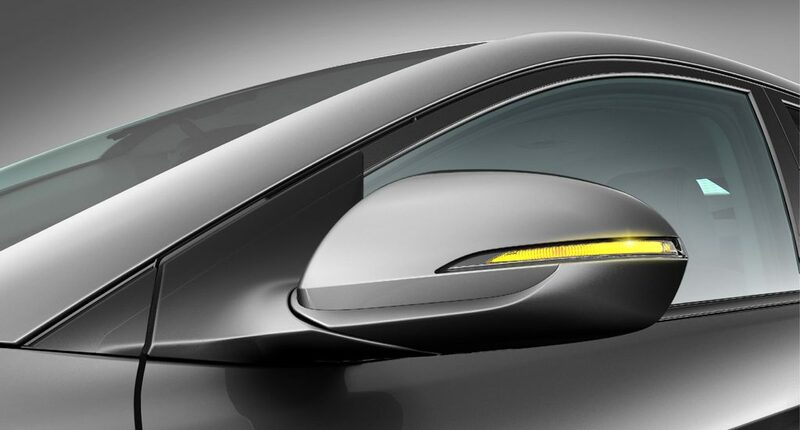 New headlights and tail light designs stand out from the crowd with a unique design and feature available LED technology for a brighter beam and increased visibility at night. Anchoring the new design cues are the bold, 17’’ alloy wheels available on Luxury and Ultimate models, available at Finch Hyundai in London. A stylish and energy efficient lighting system, the available LED headlights cast a significantly brighter and longer light beam on low and high beam while boasting an unmistakable bold look with the new four bulb projection style. 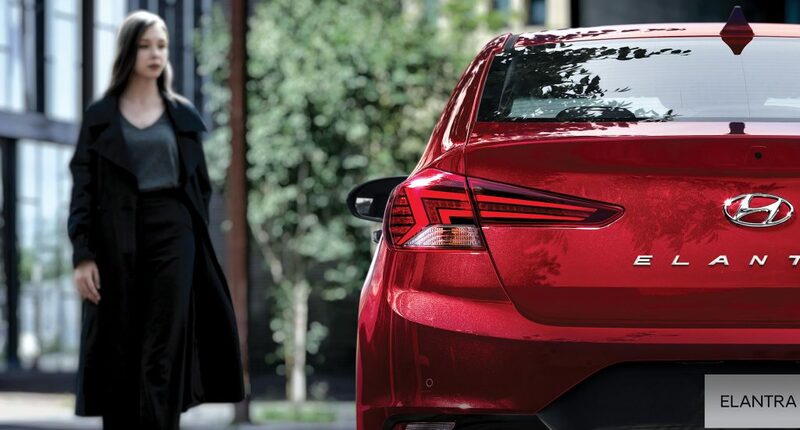 Available LED tail lights and the sleek side repeaters not only look good but provide extra visibility for your drive. This feature makes loading and unloading your Elantra more convenient. 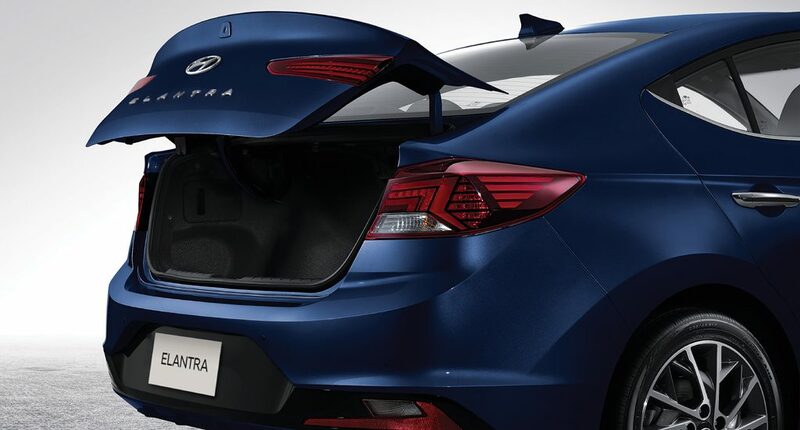 The available hands-free smart trunk unlocks and opens automatically when it senses that the proximity key is within three feet for more than three seconds. 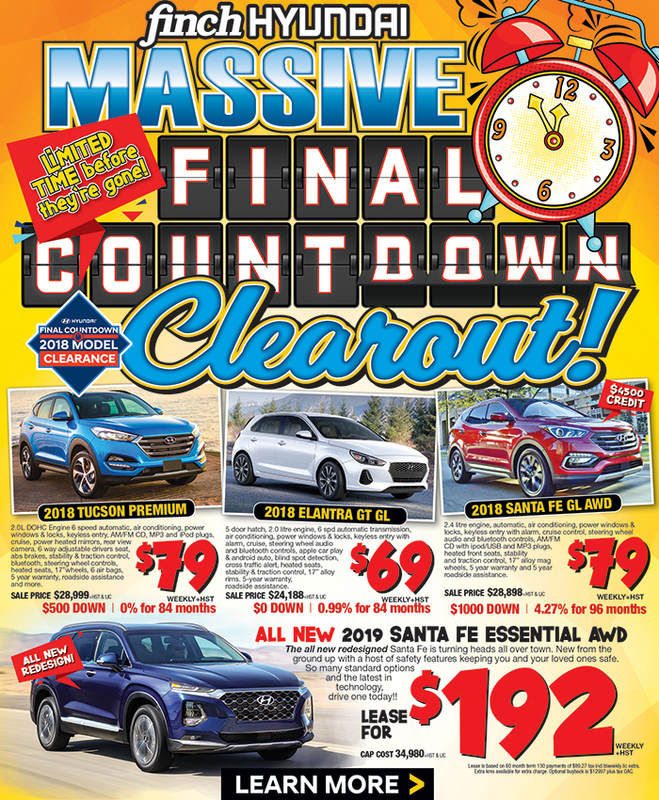 Enjoy a choice of three different multimedia displays to meet your travel needs. A standard 5.0” touch-screen audio display that lets you stream music from your smartphone, talk to family and friends and navigate tight parking spaces with the standard rearview camera. The available 7.0” touch-screen display offers smartphone connectivity so you can interact with your favourite apps. 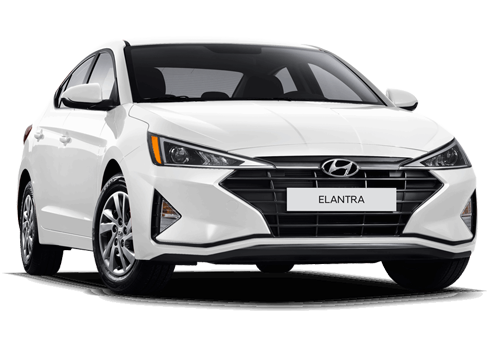 Finally, the 8.0” touch-screen that includes all of the above features plus a fully integrated navigation system with a complimentary Hyundai Map Care system. 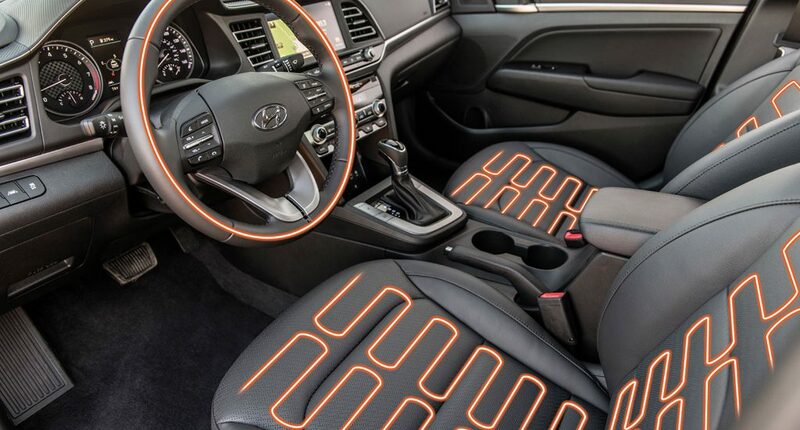 Standard heated front seats help you keep warm and cozy on even the coldest Canadian winter day. 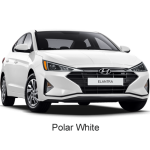 Your rear seated passengers will also thank you for the luxury of available heated rear seats, as you enjoy the comfort of a heated steering wheel on those cold mornings and nights. The available dual-zone automatic climate control settings allow both driver and front passenger to select their own climate settings for optimal comfort. 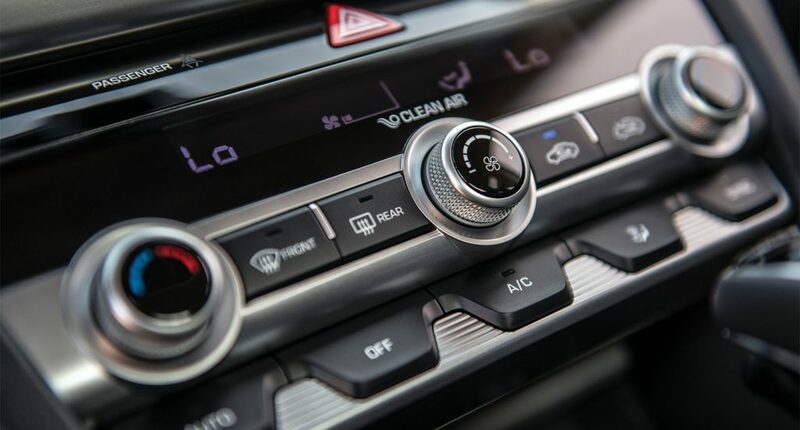 The system will continuously monitor temperature levels and control airflow to maintain your settings. Powering the 2019 Elantra is a 2.0L engine delivering 147 horsepower, which can be paired with a 6-speed manual or 6-speed automatic transmission. 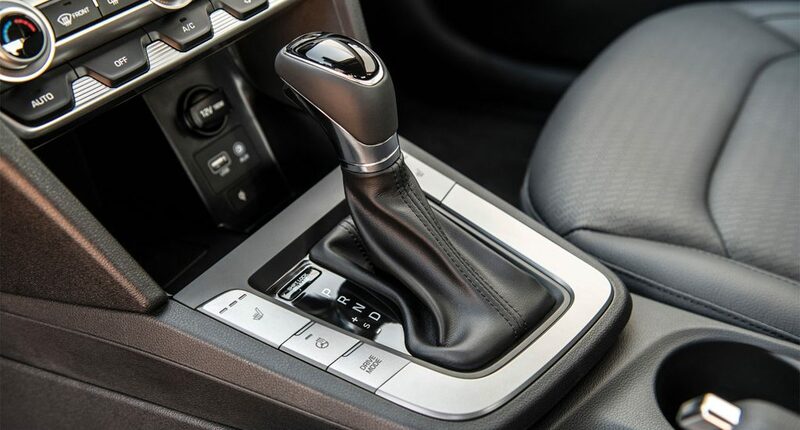 The standard 6-speed manual transmission includes an EcoShift indicator that identifies ideal shifting points to help you save fuel, while the available 6-speed automatic features SHIFTRONIC® manual shift mode for an engaging driving experience. 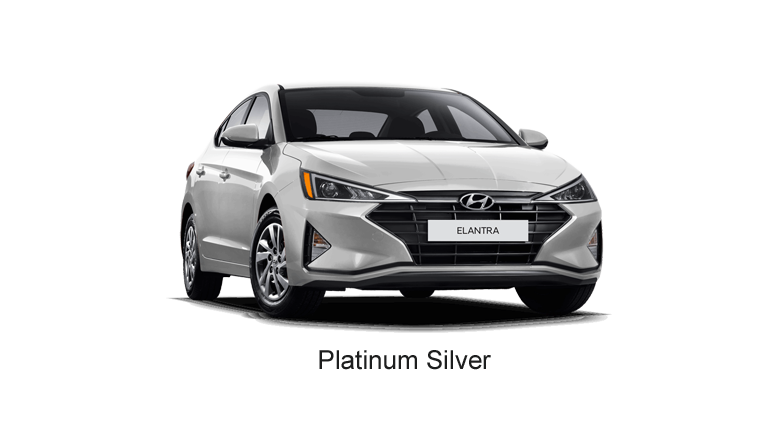 At the foundation of the all-new Elantra is the SUPERSTRUCTURE™, a state-of-the-art platform built with our very own Advanced High Strength Steel to deliver exceptional stiffness and strength. 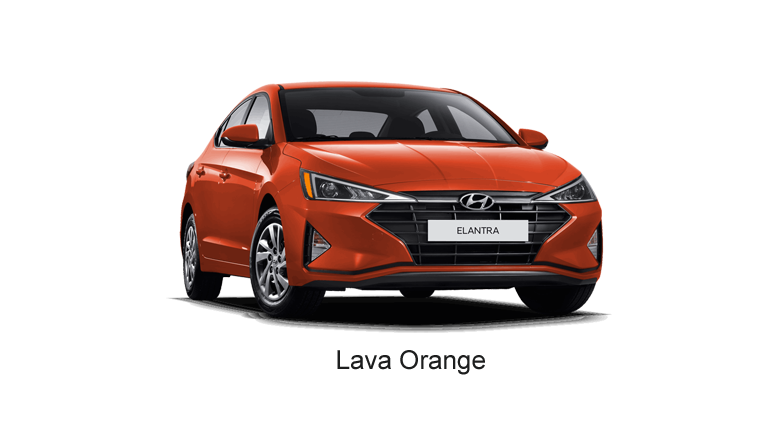 Its rigid composition not only delivers enhanced safety, but the stronger and stiffer frame means our engineers can tune key suspension components more precisely to reach a balance between controlled handling and ride comfort. 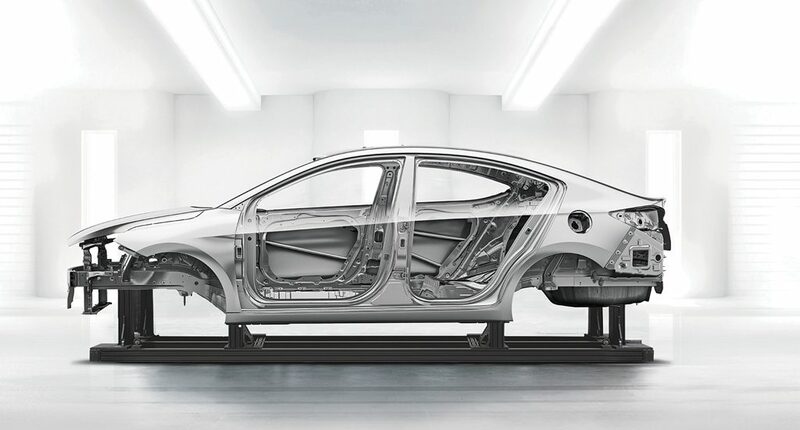 And in the event of a collision, the SUPERSTRUCTURE™ helps protect occupants inside the vehicle by absorbing harmful energy and redirecting it away from the passenger compartment. 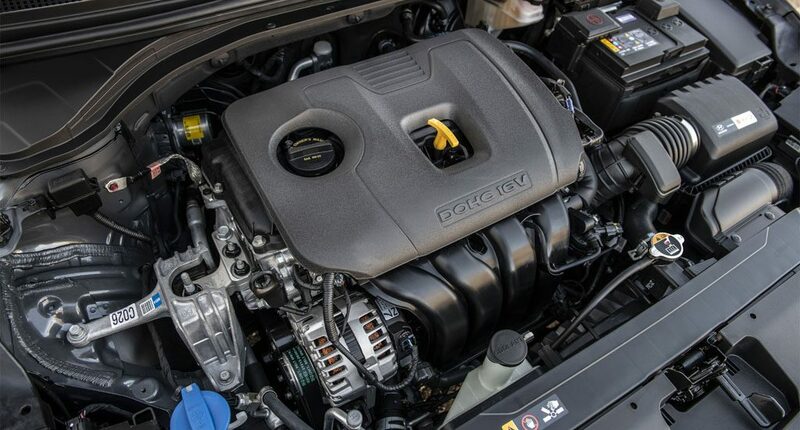 The available Drive Mode Select feature allows the driver to adjust both throttle response and steering effort to match your preferred driving style. Just select one of the available modes by simply touching a button on the center console. 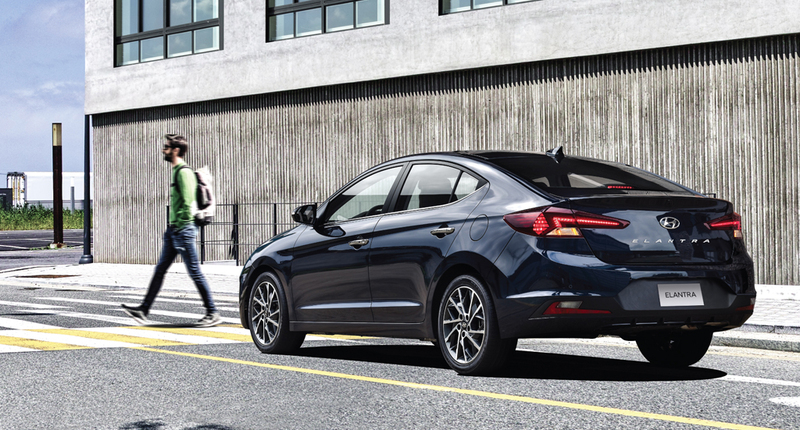 Surround yourself with a suite of available Hyundai SmartSense™ safety technologies. Start drifting outside of your lane without signaling and this available system is designed to inform you with audible and visual cues. Lane Keeping Assist will help steer you back within your lane markings if no action is taken. 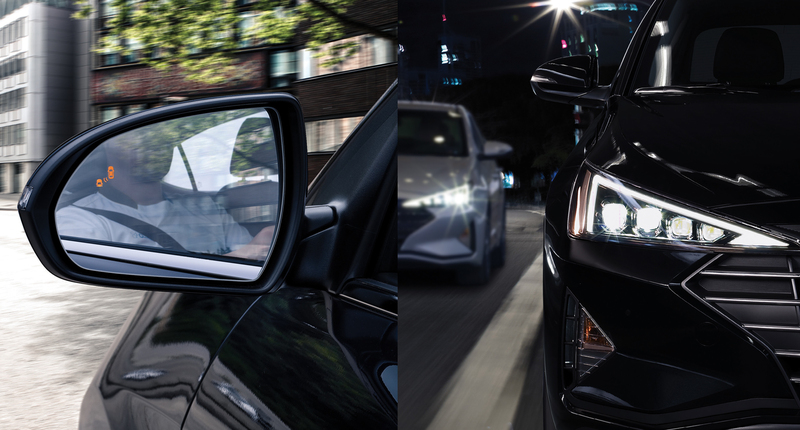 To help you change lanes with confidence, available Blind-Spot Collision Warning uses radar to detect when a vehicle is in your blind spot. It works in conjunction with Lane Change Assist, which measures the approaching speed of the vehicle in the lane next to you to help determine if a lane change is safe. Enjoy available front and rear collision detection. 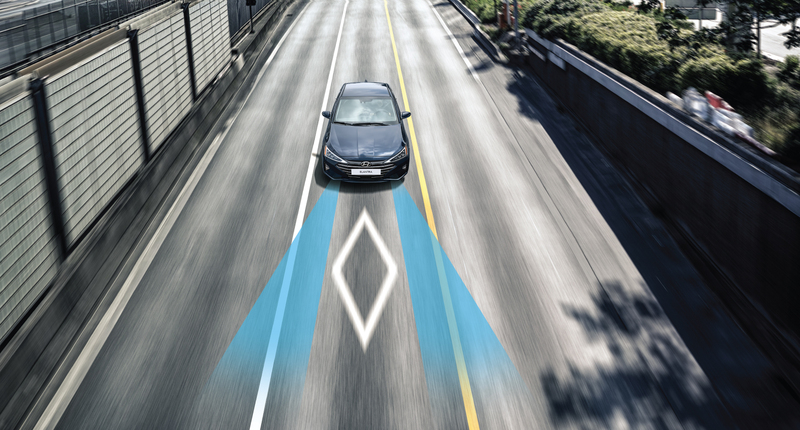 When reversing out of areas with low visibility or when a potential forward collision is detected, the available system alerts the driver with audible and visual warning notifications. If the driver does not react to avoid the impact, the system can provide full braking assistance. 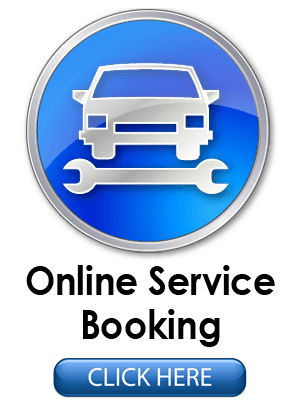 Smart technologies, for your safety and convenience. 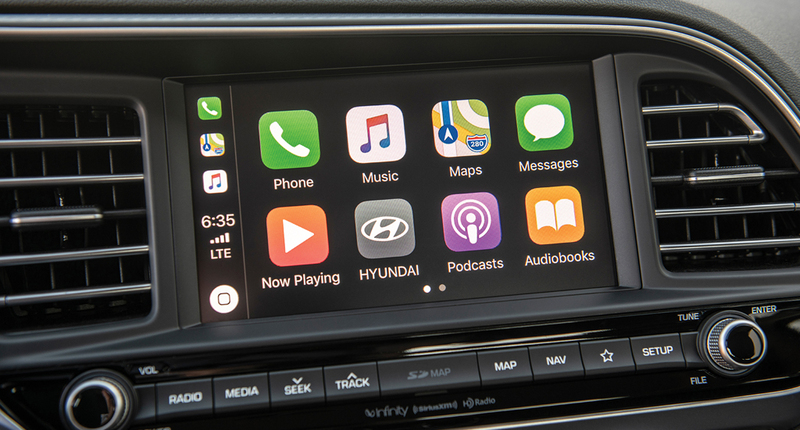 Enjoy a seamless connectivity with available Apple CarPlay™ and Android Auto™. Interact with your favourite apps, access navigation, use voice command for text messages and more. 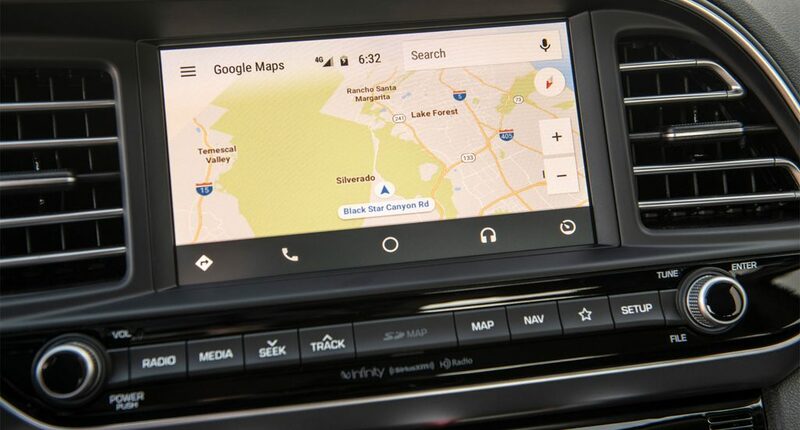 There is also an available 8.0” touch-screen with a built-in navigation system, so you don’t have to access your cellular data when needing directions. It includes a complimentary Hyundai Map Care system with two updates per year for five years, free of charge. 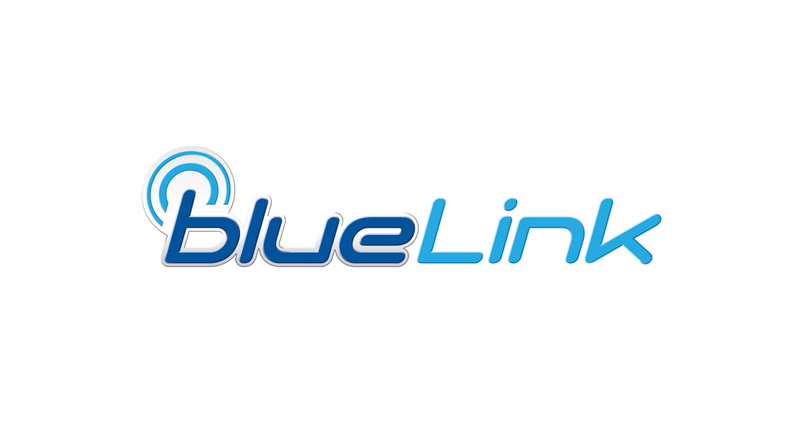 Once set up, our available BlueLink® connected car system conveniently enables you to locate your vehicle, remotely start the engine for advanced warming or cooling, unlock or lock the doors and can automatically call the emergency services in the event of an accident. 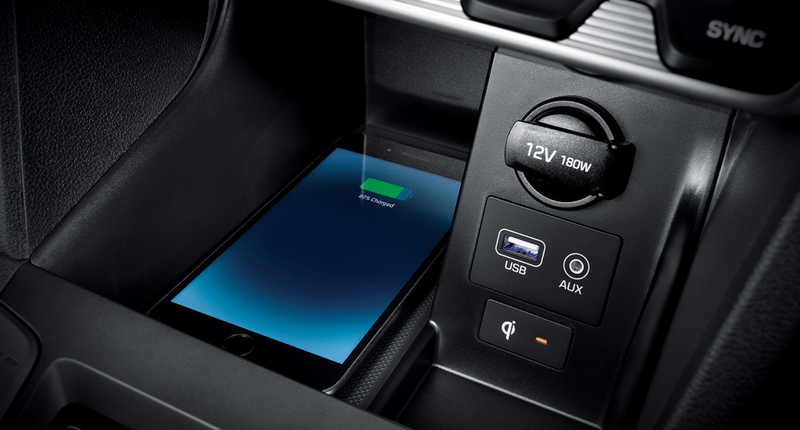 All new feature for 2019, the available wireless charging pad is located in the center console so you can easily charge a compatible smartphone, cable-free.